Do you know which plant has been crowned with the title “Plant of immortality”? It is a miracle plant. With fleshy leaves and thorns on its leaves, it resembles a cactus plant. It can be easily cultivated in your kitchen garden and pots as it does not require much water or direct sunlight. Also, it reproduces easily. If you cut aloe vera leave a jelly like clear substance oozes out and is known as aloe vera gel. The yellow color thing coming out from under its skin is known as aloe vera latex. 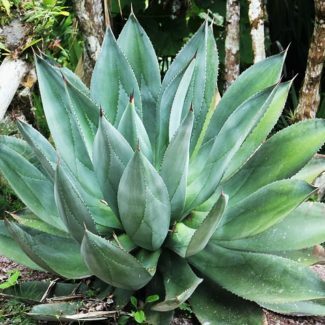 You must be curious to know why aloe vera plant has been awarded the title the plant of immortality? Because aloe vera is a medicinal plant. Both the aloe vera gel and aloe vera juice there for medicinal, health and cosmetic benefits and food industry. It possesses healing and curative properties. Studies show that when aloe vera gel, into the bloodstream of human it improved the viscosity of the blood so that the capability of the red blood cells to transport and diffuse oxygen into the body organ and gets multiplied. Aloe vera also enhances the cardiovascular system, treats constipation, boosts digestion and possess anti-cancer properties. It is a well-known traditional home remedy to treat colic, worm infestation, constipation and various skin diseases. It is loaded with antioxidants, vitamins, and hormones such as Auxin and gibberellins that rejuvenate the skin promotes healing and reduces inflammation. Aloe vera is a well-known remedy for stomach ulcers and also soothes the effect of radiation therapy. Even the latex of aloe vera has been found useful in treating asthma, diabetes, constipation and depression. Nowadays has Aloe vera gel has become a very common ingredient of most of the facial creams, lotions, and shampoos. Many shampoos, soaps, sunscreens, shaving creams, and moisturizers today contain sap and other extracts of aloe vera. Many beverages, desserts, and yogurt today contain aloe vera. In fact, its extract is used as a food preservative and to conserve water in small farms. Aloe vera contains more than 75 active components. It contains enzymes, amino acids, polysaccharides, vitamins, minerals, anthraquinones, saponins, salicylic acid, and lignin. Let’s have a brief view of the nutritional fact of aloe vera. It contains all the 8 essential amino acid. 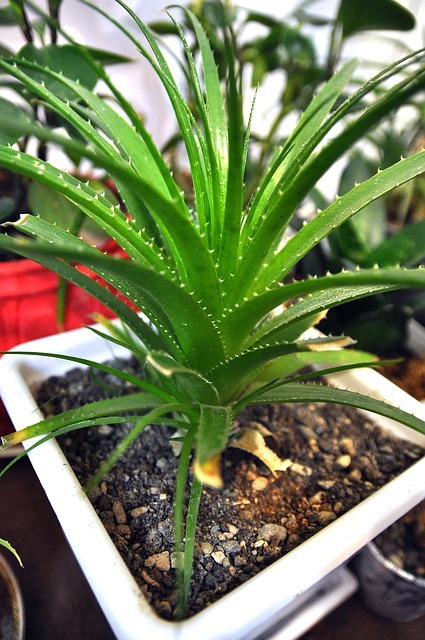 The 8 enzymes present in the aloe vera are aliases, carboxypeptidase, catalase alkaline phosphatase, cellulase, lipase amylase, bradykinase, and peroxidase. It is rich in minerals such as selenium, copper, chromium, magnesium, sodium, potassium, chromium, copper, zinc and calcium. It contains natural laxatives in the form of 12 anthraquinones. Aloe vera is rich in antioxidants such as vitamin A, vitamin C, and Vitamin E.
Vitamin A maintains a healthy vision, healthy skin and neurological functions. Vitamin E fight inflammation and vitamin C protects cardiovascular diseases, skin wrinkling, prenatal health and eye diseases. Other vitamins present in aloe vera are Vitamin B12, choline and folic acid. Aloin and Emodin present in aloe acts as an analgesic, antiviral and antibacterial. It contains 12 anthraquinones. They are compounds with the laxative property. Campesterol, beta-sitosterol, lupeol and cholesterol are fatty acids that have anti-inflammatory property. Leupol is known for its analgesic and antiseptic properties. The sugars present in aloe vera such as glucose, fructose, and polysaccharides have antiallergic and anti-inflammatory properties. There is a long list of aloe vera benefits lets have a look at them one by one. There is a rule for dehydration health that one should consume 80 percent alkaline and 20 percent acidic foods. But most of us are subsisting on acidic foods. But aloe vera is an alkaline food. Consume aloe vera to balance the intake of acidic foods and alkalize our body. Proper digestion, keeps most of the health issues at bay. Aloe vera contains laxative and anti-inflammatory components. It cleanses, soothes the digestive tract and aids digestion. Also, it maintains the pH balance, decreases the level of gastric acids, promotes the growth of good bacteria, promotes bowel movements and hinders the growth of unfriendly bacteria or formation of yeast. Being adaptogen, it regulates the elimination cycle and not only treats constipation, but also helps with diarrhea. Studies showed that patients taking aloe vera were relieved from flatulence. It’s soothing, antibacterial and healing property treats stomach ulcers and also promotes the health of the stomach lining. However, till now, aloe vera has not proved its effectiveness in the case of inflammatory bowel symptom and irritable bowel syndrome and more research are being done on it. You will find aloe Vera effective if you are suffering from an intestinal worm infestation as it is vermifuges and helps the body to get rid of intestinal parasites. Aloe vera contains bradykinase that stimulates the cells of the immune system to fight infection. The polysaccharides present in aloe vera drink stimulate the white blood cells especially macrophages that fight against the virus. Also, it contains zinc which plays an important role in strengthening the immune function of the body. Zinc is the structural component of proteins and hormone receptors that play their contribution in balancing mood, and promoting healthy immune system. Thus, it helps in killing bacteria, protecting cell membrane and warding off health issues. You will also find aloe helpful in reducing the fever as it is antipyretic. Like seaweeds, the aloe vera plant is also gelatinous. The gels of gelatinous plants while moving through the intestinal tract absorbs the toxins. And when they are eliminated from the body, they also remove toxins and other wastes along with them. Thus, detoxes the body. Free radicals are unstable compounds. They are byproducts of the metabolism. Although they are formed as a result of a natural body process, but they are highly diarrhea and active and results in the oxidative damage and contributes aging. The unhealthy lifestyle we have adopted today has overloaded us with free radicals. But antioxidants can combat them. Aloe vera is rich in antioxidants such as vitamin A, Vitamin C, and vitamin E. It fights the free radical damage and also slows the process of aging. Antioxidants also provide protection against the ultraviolet rays and cigarette smoke. The aloe vera plant potted in your bedroom has its own importance. Unlike other plants, it emits oxygen even at night. This improves the quality of sleep and combats insomnia. Studies on human as well as animals have shown that consumption of the aloe vera extract can alleviate chronic hyperglycemia. It manages the level of blood sugar by enhancing the insulin sensitivity. If you are suffering from gum diseases or tooth decay, then massage your gums with aloe vera gel and rinse your mouth with aloe vera juice. It reduces the formation of dental plaque and is as effective as chlorhexidine. Being antimicrobial, antibacterial and rich in minerals and vitamins it promotes the growth of cells and heals gum bleeding. Rich in vitamins and amino acids aloe vera gel present treats canker sores, mouth ulcers, and cold sores. It’s cooling property soothes sores and fastens the healing. Application of aloe vera gel externally eases arthritis pain and inflammation of the joints. B-sisterol present in aloe vera inhibits and slows inflammation. It also improves the flexibility and combats stiffness of the joints. To reduce inflammation and pain anywhere in the body take aloe vera drink for a week or 2. As we have discussed above that aloe vera detoxifies our body and aids digestion. All this promotes the weight loss. Aloe vera drink also regulates the energy level. It contains enzymes that break the proteins into amino acids and provides fuel for body cells. Makeup the function of the cells increases energy levels and maintains the body weight. Although not much study has been done, but stimulates are studies that suggest that beta-sitosterol present in aloe vera lowers the level of blood cholesterol and serum triglycerides levels. It perturbed lipid profile, regulates the blood pressure and improves the circulation. This, in turn, reduces the risk of cardiovascular diseases such as stroke and cardiac arrest. Aloe vera have the ability to stop the proliferation of cancer cells. It contains acemannan. Acemannan not only boosts immunity but also has anti-cancer effects. Also, Rhein and Emodin present in it have anti-cancer effects. Studies have shown that aloe vera possesses the ability to stop the progress of skin cancer when applied to the skin directly. Apart from the health benefits discussed above aloe vera has lots of beauty benefits. It is popular in the beauty industry and has become one of the common ingredients of most of the beauty products. Let us give a glance over the amazing benefits of aloe vera for skin and hair. Prevent premature aging- The antioxidants present in aloe vera fight free radicals and prevents oxidative damage. This slows aging and prevents fine lines, wrinkles, sagging of the skin and premature graying of hair. The polysaccharides present in aloe vera gel stimulate the skin regeneration. Natural moisturizer- Aloe vera gel penetrates deep into the skin and keeps it hydrated. This keeps the skin elastic, maintains the pH balance and makes it look smooth and healthy. Even if you have an oily skin you may use aloe vera as it does not make your skin look greasy. Keeps acne and skin diseases at bay– Being natural antibacterial aloe vera fights off bacteria and also stimulates the growth of new cells. It reduces the inflammation and heals the skin quickly. You can use it to treat acne, eczema and even psoriasis. Wash your face and apply aloe vera gel to the affected parts. After 15 minutes, rinse it off. Repeat this every day. Regular use also removes scars and blemishes. 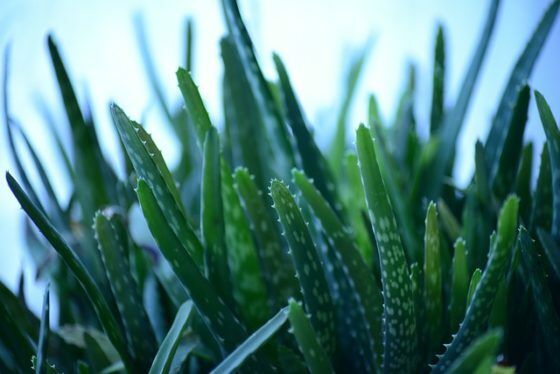 You can also use aloe vera gel to treat minor burns, insect bites, and wounds. Treats sun burns- Suffering from sunburn after spending a vacation on the beach. Now it’s time to give attention to your skin. Mix a few drops of lemon juice to 2 teaspoons aloe vera gel and apply to the affected. After 15 minutes, rinse it off with taking water. Repeat this 2-3 times in a week and you will get rid of unwanted sun tan. Make up remover- Instead of using chemical loaded makeup remover try aloe vera gel for the same purpose. Just soak a cotton ball with the aloe gel and remove makeup with it. The slippery nature of the gel removes the makeup residue and cleans your skin. Minimizes stretch marks– As discussed above aloe vera hydrates the skin and retains the elasticity. Thus, you will find it effective in minimizing the stretch marks. Promotes hair growth– To get rid of all hair problems you can trust aloe vera. It removes dead skin cells. Unclog the pores, strengthens the hair shaft, maintains the pH balance. Thus, prevents dandruff and results in healthy hair. Mix castor oil and aloe vera gel in ratio 1:2 and massage your scalp with this mixture. Leave it overnight and in morning shampoo your hairs. Repeat this 2 times in a week. Aloe vera juice and aloe vera creams are sold in the market. But the processing affects the amount and the number of natural active ingredients and decreases the nutritional value. Thus, I highly recommend to extract fresh aloe vera gel and make aloe vera drink at home. Below is the method for it. Cut a few fleshy leaves of aloe vera. Choose the leaves that are on the outer as they are more mature and are high in antioxidants. Wash the leaves and pat them dry. Now with the help of a scissor slit the edges and slowly open the outer layer. Now scoop the gel properly. If there is any greenish gel discard it. To make juice, add 2 teaspoons of gel to a cup of water and blend it. Better use the fresh aloe vera juice within 3-4 days. Aloe vera has a pungent taste if you cannot stand it straight, then mix it with green juice or smoothie. Despite so many health benefits, I do not recommend taking aloe vera drink daily for the long term. Studies have shown that long-term intake of aloe vera has caused liver damage. Aloe vera plant is a medicinal plant. As we do not take medicines without a disease or deficiency, the same goes with the intake of aloe vera. If you want to consume aloe vera for weight loss or restoration of health better discontinue it after a week or 2. You may start again after giving a gap of 1 or 2 months. If after taking the aloe vera juice, you feel repulsed consider it as an indication that your body want’s you to stop it. For the recommended dose of aloe vera drink do consult your doctor once. Also, there are few precautions before taking aloe, you should be aware of. If taken in large amount, it may cause diarrhea, colic, and dehydration. If consumed with certain, medicines aloe vera may have an adverse effect. So if you are on medication do consult your doctor before taking it. Although internal intake of aloe vera very rarely causes allergy still if you suffer from itch, rashes, swollen skin or breathing difficulty consult your doctor immediately. Pregnant women should avoid it as it may stimulate uterine contractions and lead to miscarriage. Do not drink unprocessed aloe vera juice or it may cause electrolyte imbalance and dehydration. If you are suffering from irritable bowel syndrome better avoid as the laxatives present may worsen your condition. Lactating mothers should also avoid drinking aloe vera juice as anthraquinone may lead to diarrhea and also it is unsafe for breastfeeding baby. An overdose may cause damage to the kidneys. People with diabetes or hypoglycemia treatment should avoid it. Consuming aloe vera for a long period of time increases the risk of colorectal cancer. Aloe vera drink is not recommended for elderly and children as it stimulates the production of adrenaline, lower the level of potassium, cause irregular heartbeat and soften or weaken the muscles. If you are a heart patient better consult your doctor before taking it. *Do keep a point in your mind that most of the side effects of aloe vera juice are experienced only by the people who take it for a long period of time or in excessive amount. Hope you will find this article on aloe vera benefits interesting and useful. If you have anything to share do add to the comment section below.